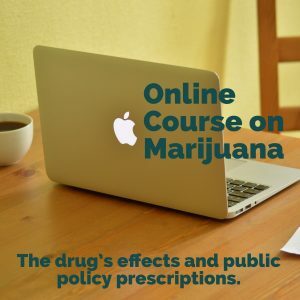 Smoking marijuana has high personal and social costs of smoking marijuana and addiction. 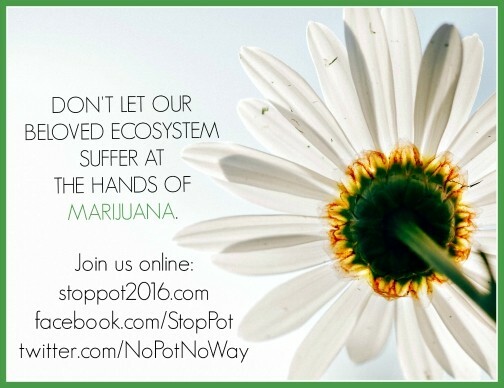 Please share these memes in social media with a link to StopPot2016.com! 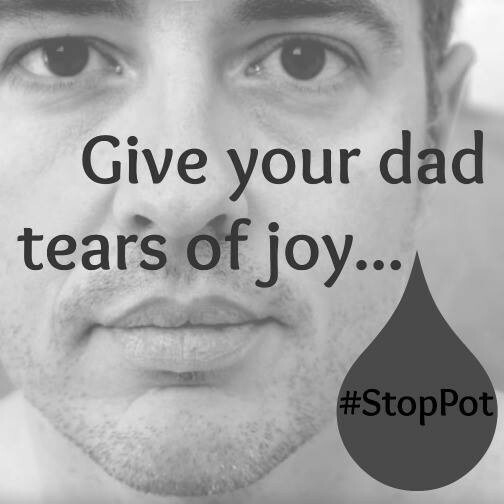 Use the hashtag #StopPot on all posts. It needs your help to go viral! 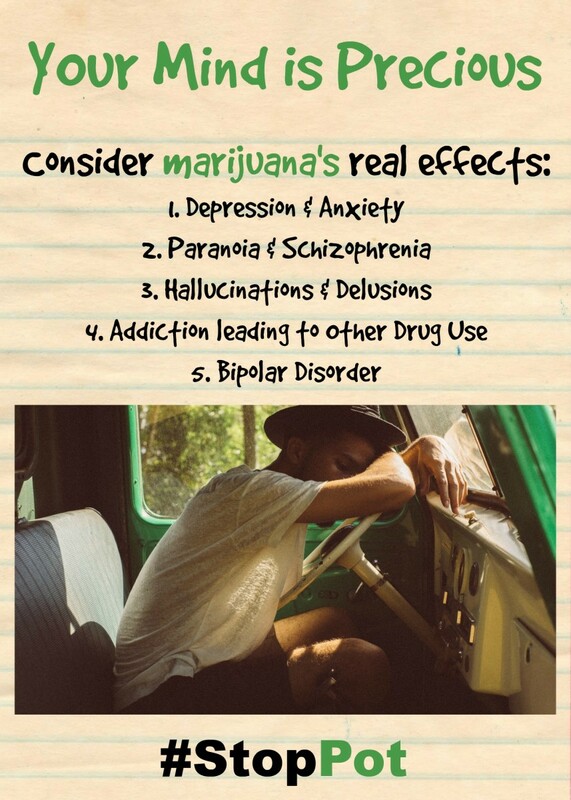 Consider marijuana’s side effects. 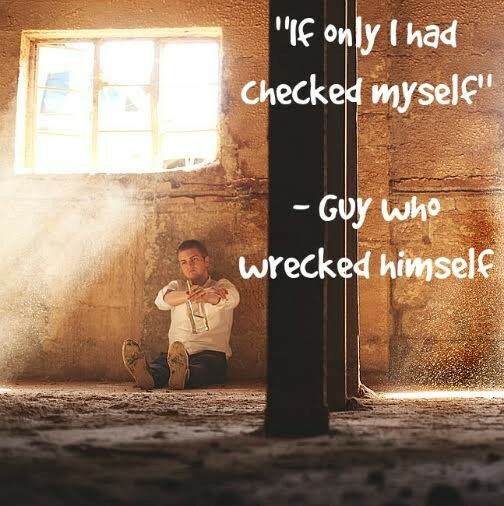 Don’t risk damage to your mental health. 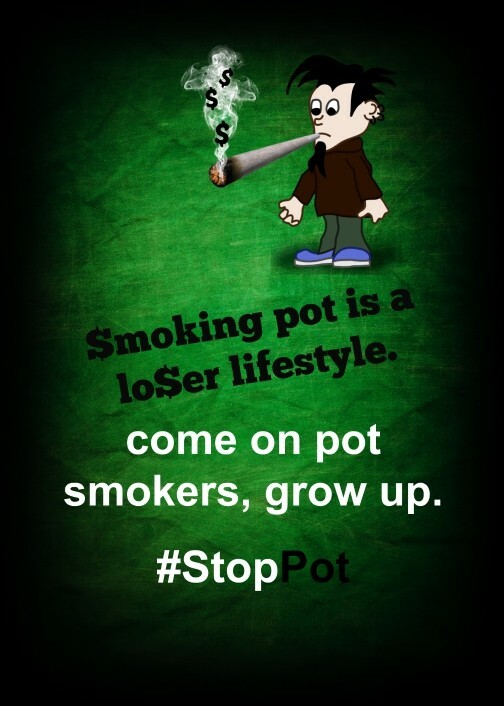 Smoking marijuana is a loser lifestyle. The pot lobby is advocating a lazy, unmotivated lifestyle. Keep your heart healthy. 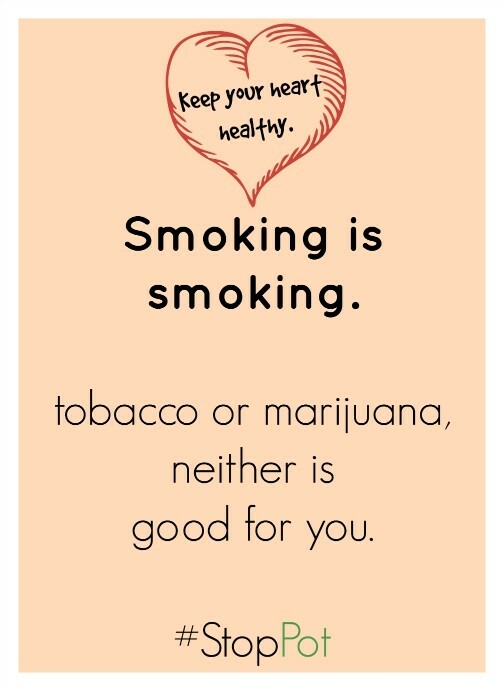 Smoking marijuana is not good for you. 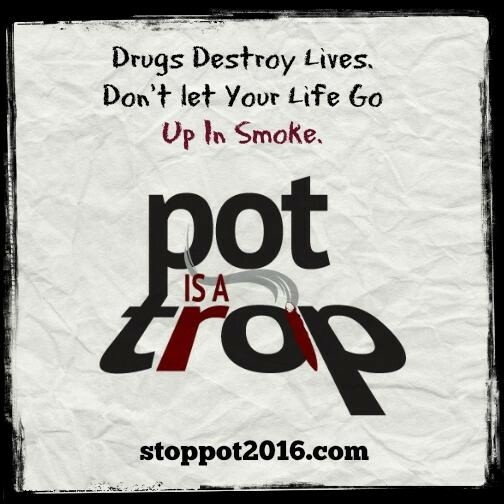 If teens begin smoking marijuana they will find the urge to experiment with harder drugs. 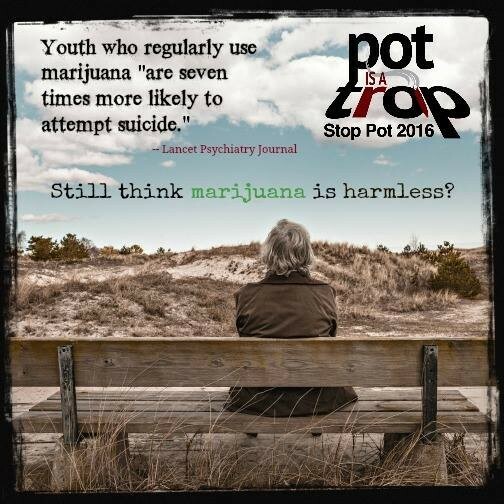 Most teens who begin smoking marijuana end up alienating everyone close to them. Before smoking marijuana please be aware of the risks. To enjoy the better things in life don’t start smoking marijuana. 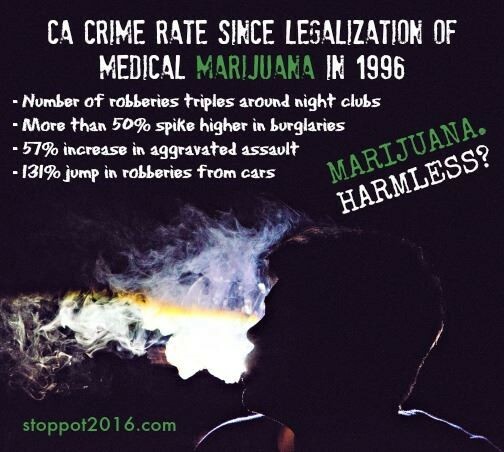 Crime rate soared after medical marijuana legalization in CA. Funny that most “medical” patients only started smoking marijuana for fun. 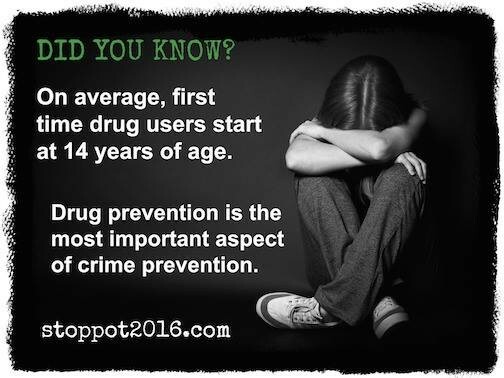 Nothing is more important than protecting our kids from smoking marijuana. Smoking marijuana everyday is the norm for stoners. 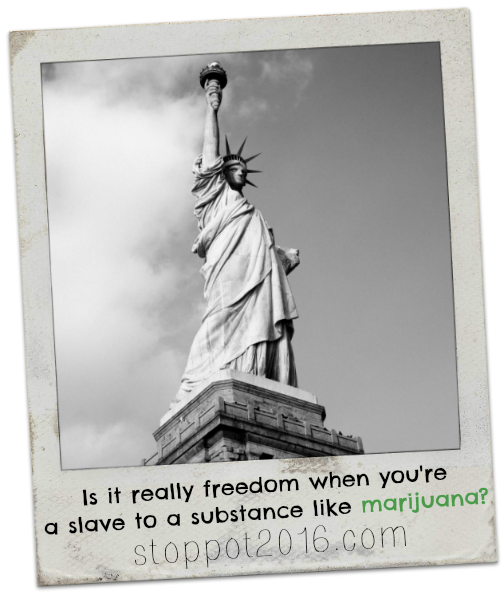 They ought to consider the fact that they’ve become a slave to the drug. 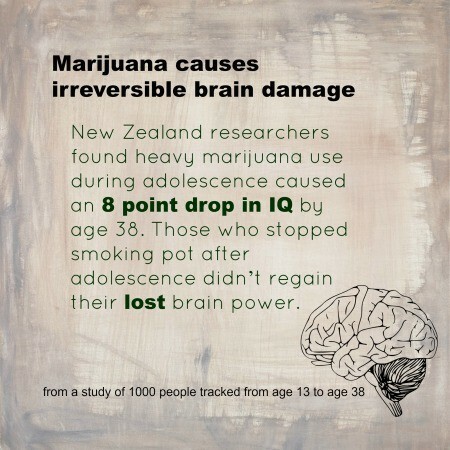 Smoking marijuana leads to significant drop in IQ points. What will happen to the future of America? Professional athletes lead by example. 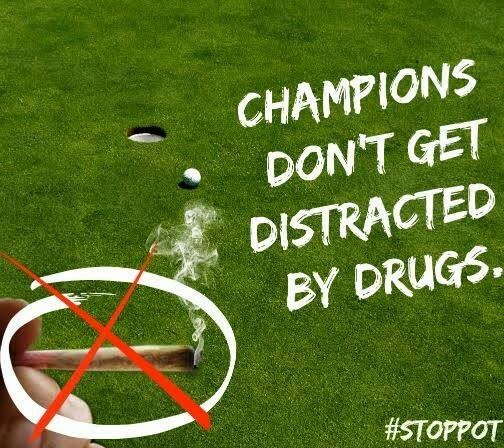 Smoking marijuana is not what athletes are paid to do. No drugs = longevity in career. Our students are the future of our country. They can’t reach their full potential if they’re smoking marijuana. Smoking marijuana is not a miraculous cure-all. If it were the FDA disclosures would be on it. 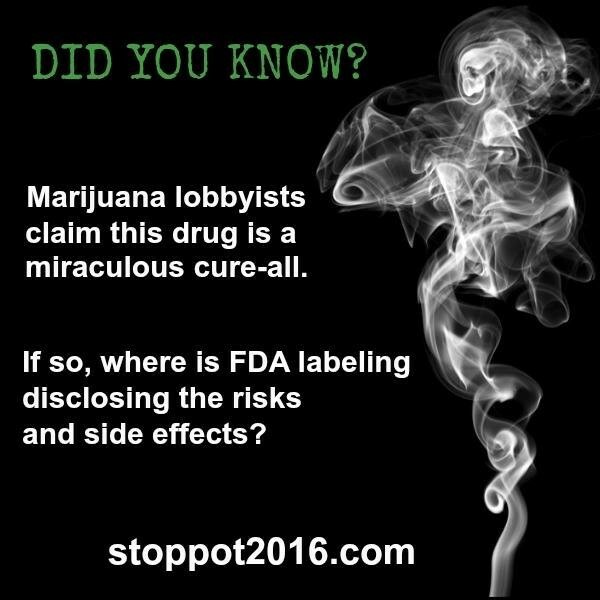 Pot lobbyists like to spew the myth that smoking marijuana never killed anyone. Andy’s story is proof they’re wrong. 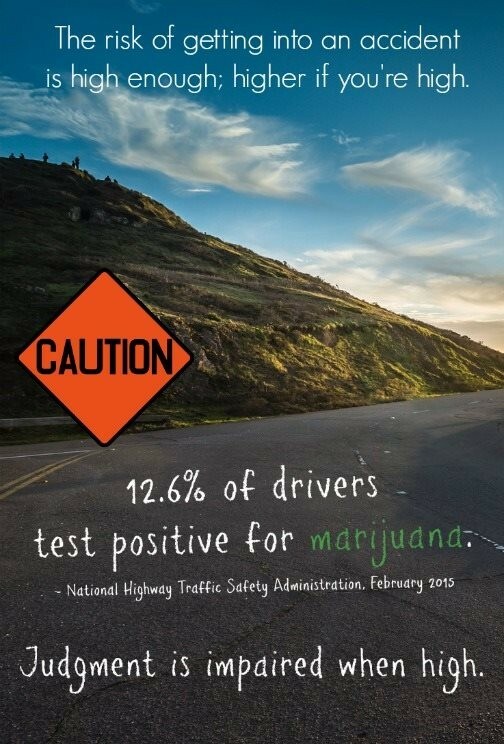 Smoking marijuana increases the risk of being involved in a vehicular accident. Pot users are smoking marijuana to get high, nothing else. The amount used for “medical” purposes is moderate at best. Still think marijuana is harmless? 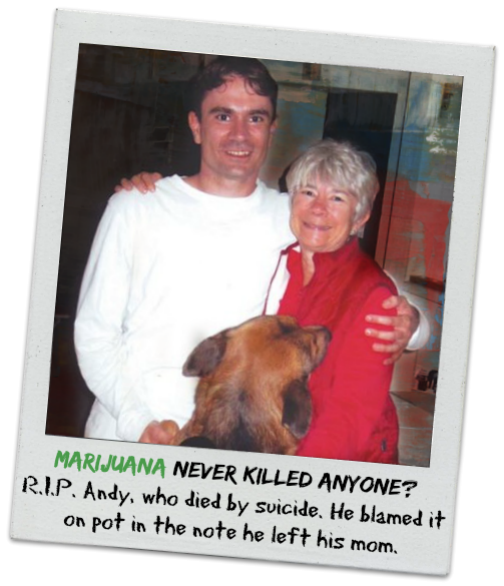 Smoking marijuana lead to the deaths of innocent people. You are your dad’s pride and joy. Make them proud by not smoking marijuana. 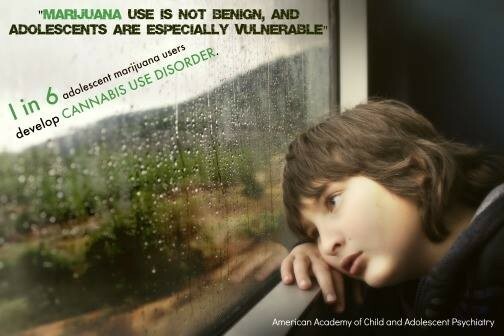 Cannabis use disorder is real. Adolescents who begin smoking marijuana are more vulnerable. This is an alarming statistic. 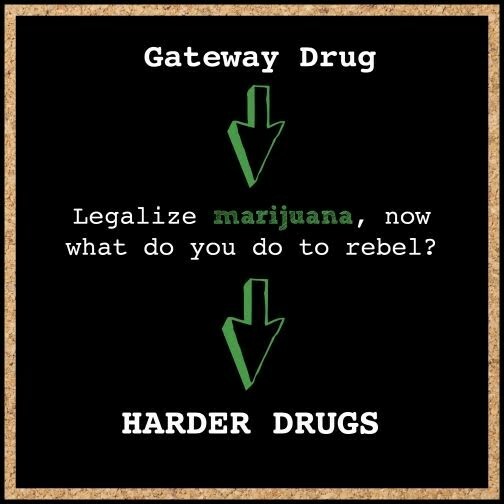 To think that the majority of first time drug users begin smoking marijuana is outrageous. Please be aware of the marijuana dangers. Most people begin their journey to harder drugs after smoking marijuana. The devastating effects of smoking marijuana hit the environment the hardest. 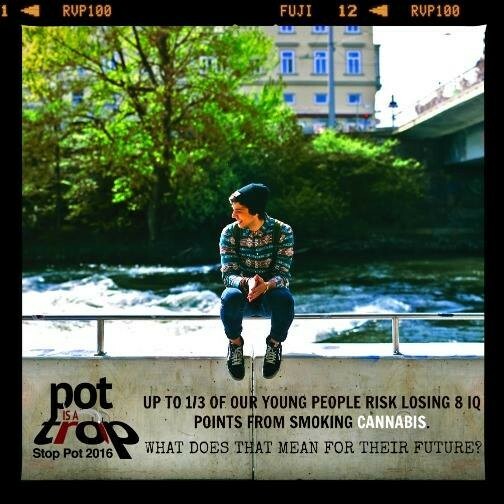 Smoking marijuana use causes 8 point drop in IQ by age 38. Researchers found that this lost brain power will never be regained. 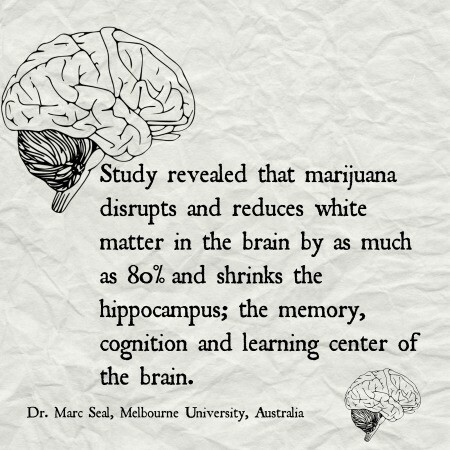 Brains shrink when smoking marijuana, this is why it impairs memory, learning, slows reaction time. Don’t lose your marbles on marijuana! 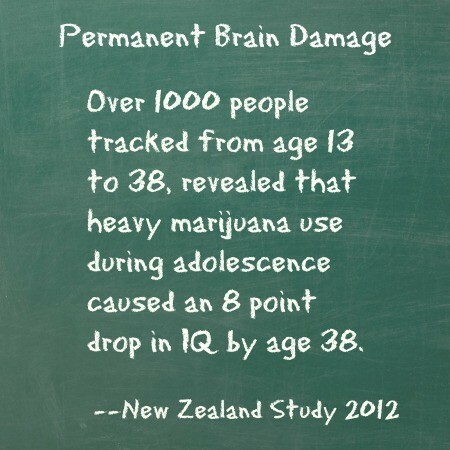 Smoking marijuana causes significant loss in IQ. 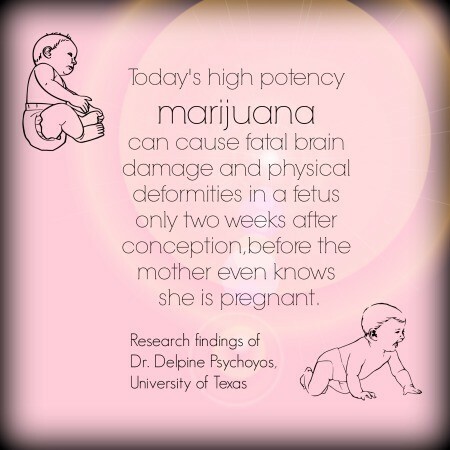 For those who plan to be parents someday, steering clear of smoking marijuana can save your baby. 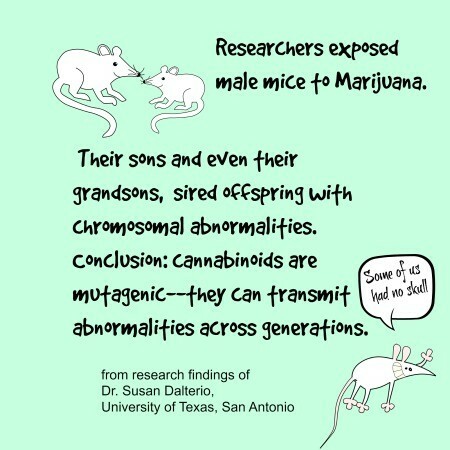 Research showed that abnormalities can occur in future generations due to smoking marijuana test in mice. Testicular Cancer is a Risk for Male Marijuana Smokers. 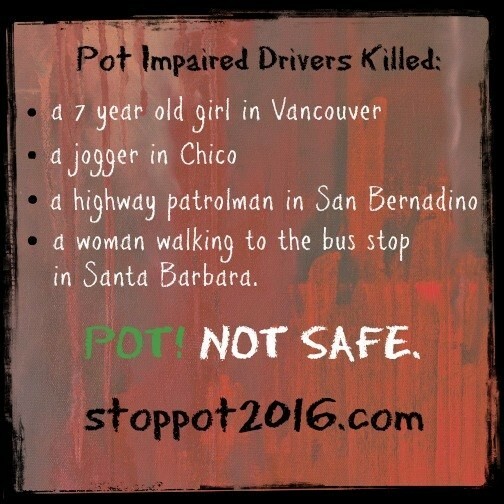 Please don’t begin smoking marijuana. 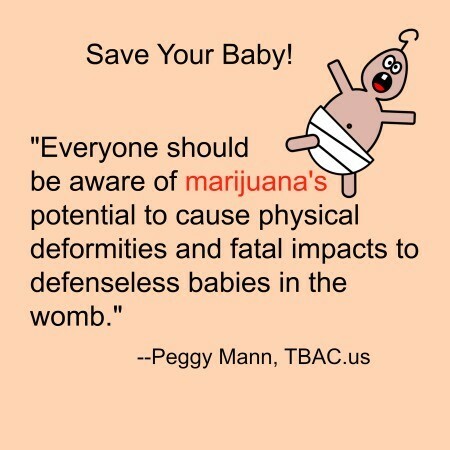 Smoking marijuana will harm your baby. 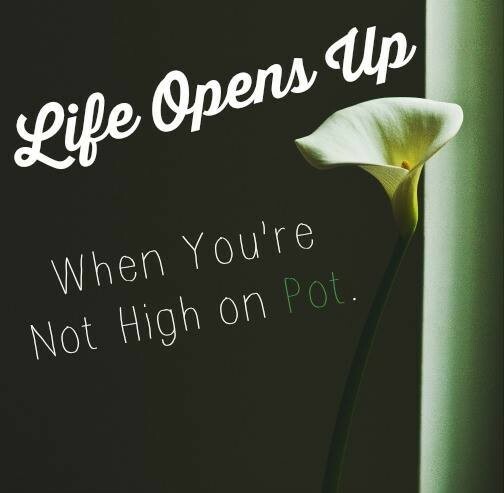 Today’s marijuana is much more potent than in the past. 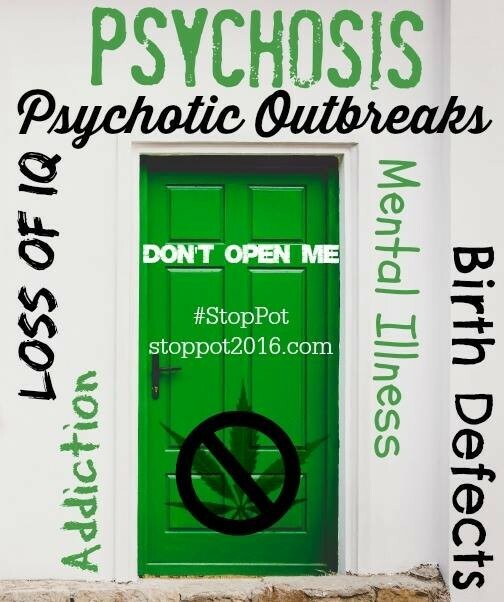 No other drug comes close to the damage wrought by smoking marijuana, including heroin. Thank you for your post. Please share on your social media pages. You’re going to stop a multi-billion dollar business sector that is creating jobs, medicines, well-being, and keeping our citizens out of prison? 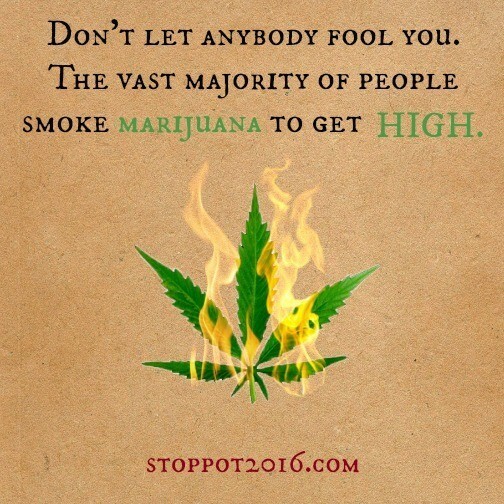 I hope you got Bill Gates as your bankroll (Oh wait, he voted for legalization of cannabis in Washington) because your dinky little website and graphics that are blatant lies isn’t going to stop anything. it so much $$$ 5 million, and the opposition had $15,000. Goliath vs. David, but David will come back and beat the pro-pot lobby. Pingback: Are Marijuana Murders Correlated? 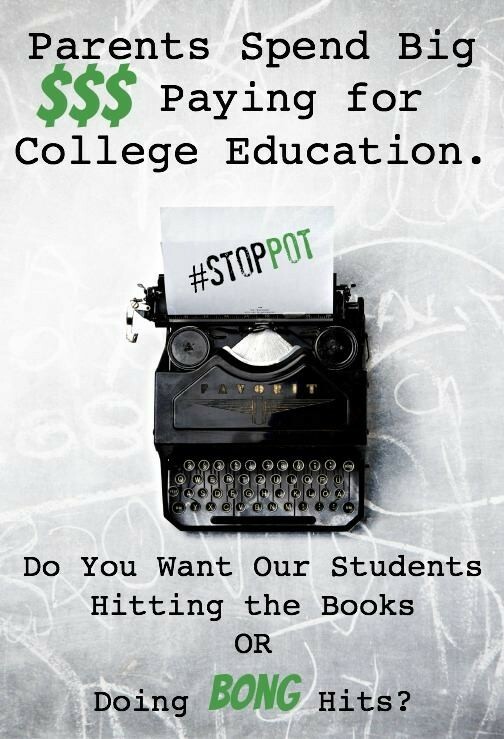 60% of Colorado’s communities have REJECTED the lies that marijuana and its industries are good for our citizenry. Colorado has an experienced an increase in petty, felony, and domestic crimes since the passage of ‘recreational pot’. Panhandling is now uncontrollable. Homeless rates have skyrocketed! 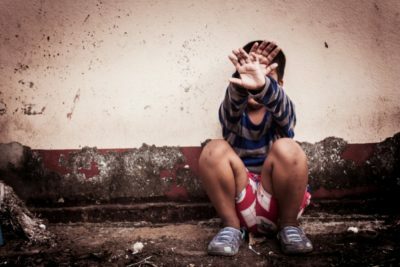 Children are being brought to Colorado so the adult can use recreational pot and the children exposed to the adult’s pot usage have permanent learning impairments ie a LIFE TIME of problems because of the adult’s choices. This has all been about greedy people wanting to make money off of the miseries of others. Homeless support centers have skyrocketed in the needy (drug users) begging for handouts from the good people in the community. We no longer donate our time, money, resources to these centers to help the unfortunate but ONLY help out those individuals and families that we personally KNOW who have truly fallen on hard times and need some assistance. Recently saw a panhandler with a sign that read “Because I am an honest person I do not steal. Need money.” He was a young, very dirt, vagrant drug user. Yes! the public CAN tell drug users from non-users. It makes me laugh when the pot users think they are using and none users can’t spot them. 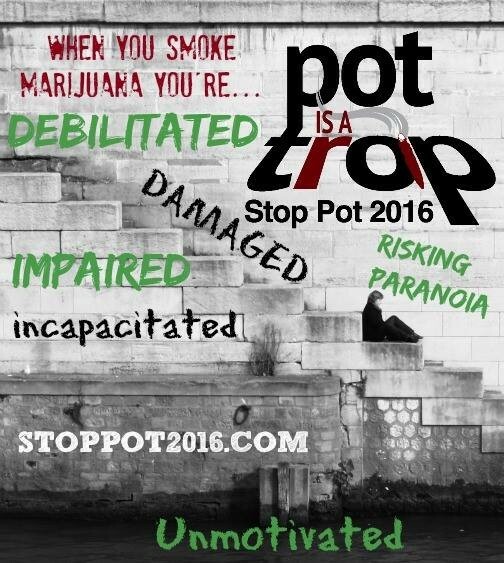 I’m so glad that there is an organization out there pushing back against the evil lies about marijuana. It is absolutely sickening how society in this day and age has accepted and CONDONES the use of this terrible, terrible drug! Thanks Coraline, we hope you will subscribe to our blog and follow us in Facebook @stoppot!